Show your southern pride the 1860s way - a Secession Cockade! 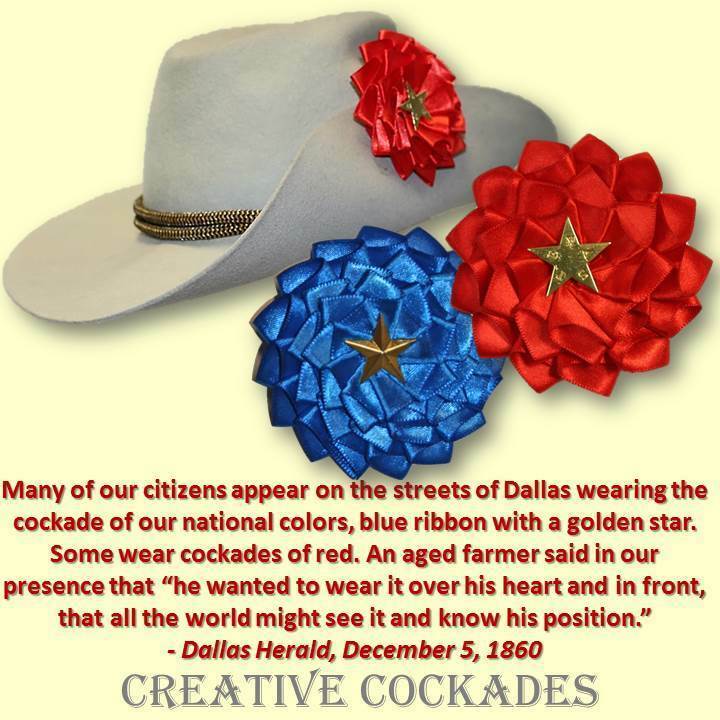 Choose a gorgeous red satin with a gold Texas star or blue satin with a military gold star in the center. Hand-sewn to authentic buckram backing. Approximately 3" (7 cm) across rosette. Optional pin on back is silver-plated and 1" (2.5 cm) wide.